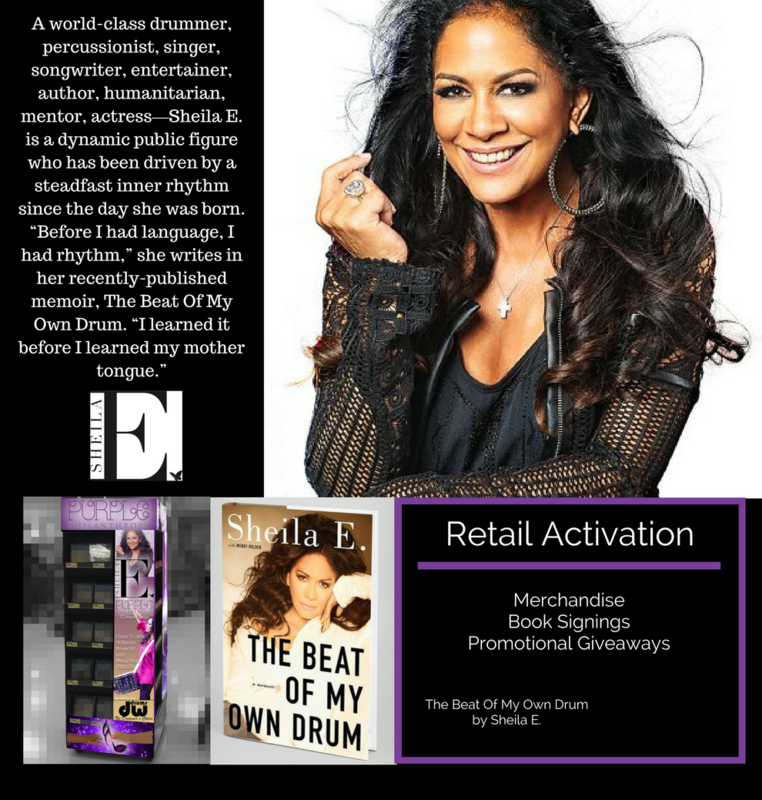 OMG Digital Media Solutions | Book Sheila E.
For three decades, Sheila E. has been a dynamic and influential musician—moving and entertaining others as a percussionist, singer, songwriter, and more. Since debuting in \with her first solo album, The Glamorous Life, Sheila has continued to evolve as a musical icon and inspirational figure. Rediscover your favorite hits or jam out to Sheila’s latest tracks below. Submit a talent request form to book Sheila E. for 2017 festivals, concerts, events, retail promotional appearances and merchandise activation. Please email Monique Linder at monique@omgdigitalmediasolutions.com if you have any questions.